Huey is a handsome boy with beautiful handsome boy tusks! He also has an affinity for the kitchen. 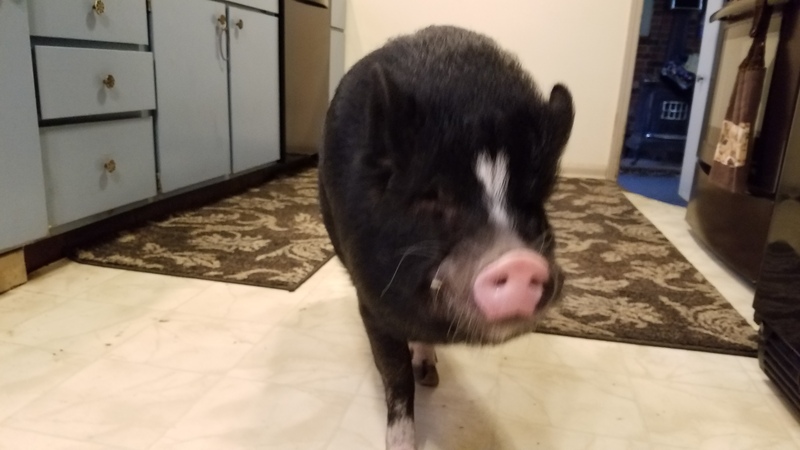 It’s odd that almost all the pigs that we have stay with us enjoyed to be in the kitchen. He we also enjoyed some outdoor time today. We always look forward to having him stay with us, and hopefully he becomes a regular!